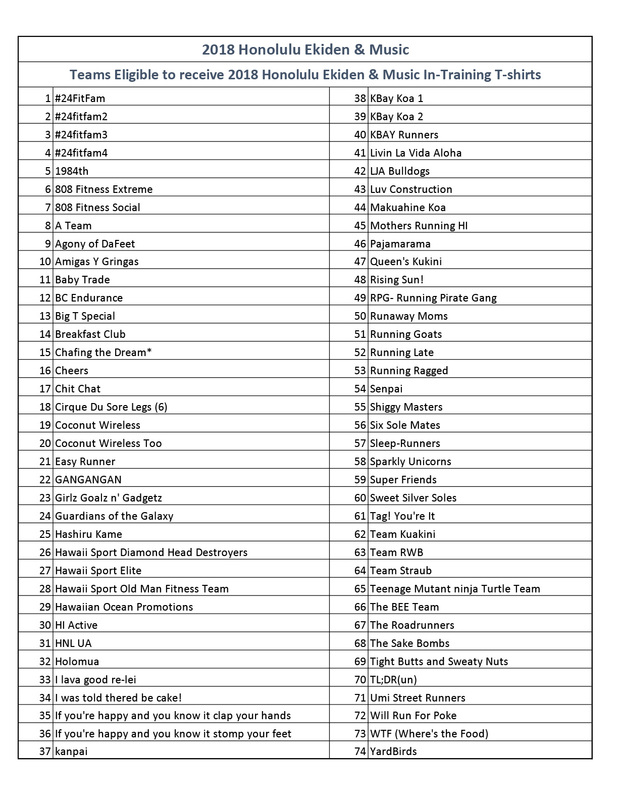 The following Teams will receive our exclusive 2018 Honolulu Ekiden & Music’s In-Training T-shirts! Show your Honolulu Ekiden & Music spirit by wearing our exclusive t-shirt during your training sessions! 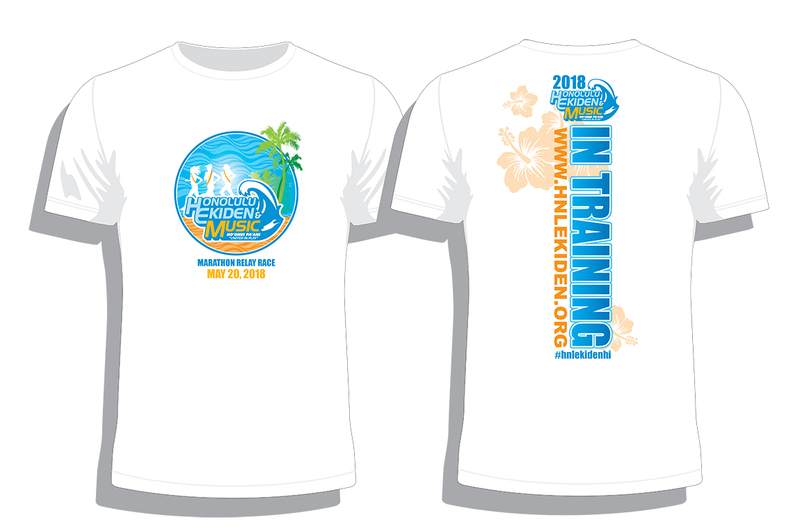 The t-shirts are available for pick up at Running Room on Kapahulu Avenue. Pick up period has been extended to Thursday, May 10, 2018!!! *T-shirt sizes will be available on a first come, first serve basis. *If team members are picking up t-shirts separately, each team member must confirm their team captain’s name when picking up their t-shirt at Running Room. Pick Up Period Extended until Thursday, May 10, 2018!! !